Obituary for Ronald Rudy Little | Jones Funeral Home, Inc.
Ronald “Ronnie” Rudy Little, age 77, formally of Crossett passed away on February 4, 2018 at Circle of Life Hospice in Springdale, AR. He was born January 11, 1941 in El Dorado,AR to his late parents, Rudolph “Rudy” Harvey Little and Mary Ruth Nelson Little. 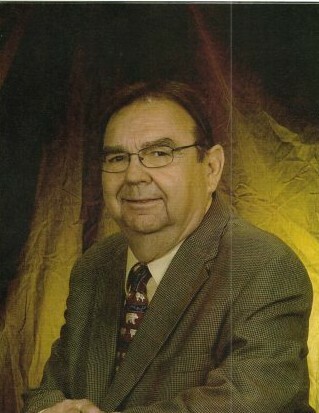 He graduated from Crossett High School in 1958 and attended Henderson State University and the University of Arkansas at Monticello. On November 1, 1964, Ronnie married the love of his life, Tommie Lou Reid Little of El Dorado, AR. He was a longtime member of the First Baptist Church of Crossett and a current member of the First Baptist Church of Rogers. He served in the Army National Guard for 6 years. Ronnie was known for his quick wit, his funny phrases and his tall tales many of which will live on for decades. He had many hobbies including coin collecting, music , a love of antique cars and a passion for meeting new people and travel. One of his favorite songs was “I’ve Been Everywhere” by Hank Snow. His family is comforted in knowing heaven will be another destination for him and where he will spend eternal glory. Survivors include: his wife of 53 years, Tommie ; his daughter, Jana Little Neal (Mike) of Tulsa, OK, his son, Jeff Reid Little (Jennifer ) of Rogers, AR; and four grandchildren, Cambridge Ruth Neal, Caroline Reid Neal, Chandler Nicole Little and Cameron Todd Little. Pallbearers are Jimmy Woods, Scott Gulledge, Mark Jordan, Justin Green, Mike Rockett and Ben White. Honorary pallbears include Bobby Martin, Roy Hornbuckle, Britt Synco, Pedro Smith, Phillip Pennington, Mike McDaniels, and Rusty Baldwin, Ronnie Williams and Fred Newman. Visitation will be held at Jones Funeral Home Chapel, from 12:00-1:30 PM, Monday, February 12, 2018 with a graveside service immediately following at Strong Cemetery in Strong, AR with Bro. Jamie Staley officiating. In lieu of flowers, memorials may by made to the Alzheimer’s Association at alz.org.